Low levels of infrastructure development in regional areas will "fundamentally undermine" Ireland's economic performance in the next decade, the Construction Industry Federation (CIF) has claimed. CIF president Dominic Doheny said a lack of strategic planning and the impact of demographic trends has resulted in Dublin becoming the focal point for economic growth in Ireland. The CIF launches its regional development roadmap in Tullamore, Co Offaly, this morning. CIF's analysis shows that about 30pc of the State's investment in road, rail and utilities is concentrated in the greater Dublin area. The CIF said when the €1.2bn Shannon-Dublin pipeline is included, the proportion of overall investment in road, rail and utilities concentrated around the Dublin region reaches 48pc. The Shannon-Dublin pipeline is aimed at alleviating pressure on Dublin's water supplies. "We need to think of Ireland, north and south, as a region that must compete globally instead of our current fragmented approach," said Mr Doheny. He added that Cork, Limerick, Galway and Waterford could become hubs for high-tech, pharma, bio-tech and life sciences, for example. 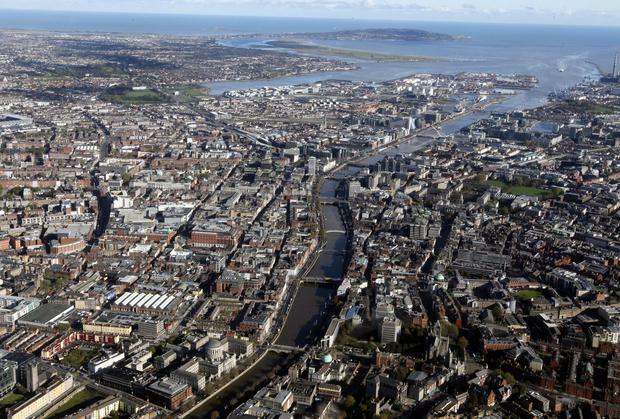 Dublin could continue its strategy of becoming a financial services and technology hub. "The business as usual scenario sees the greater Dublin area accounting for over 50pc of Irish gross domestic product, with the capital city continuing to face accommodation shortages, traffic issues and spiralling rents that will reduce its global competitiveness," said Mr Doheny. "Due to its economic importance to Ireland, the entire economy is in risk in this scenario."